Many of you are using Kodi as a family entertainment center. Thanks to numerous addons, this application is a fully-working alternative to popular streaming services. Just imagine having an endless media library on your TV that you can access in an instant. That’s possible if you know which addon to use. 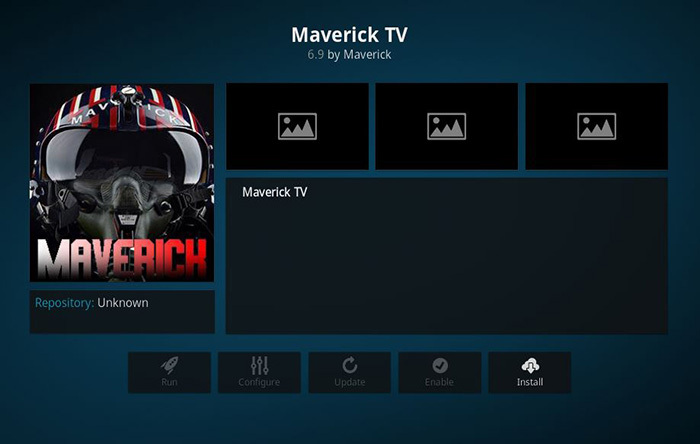 We are going to talk about one of the most popular options – an addon named Maverick TV. We are not only going to show you to install it, but also how to use it. 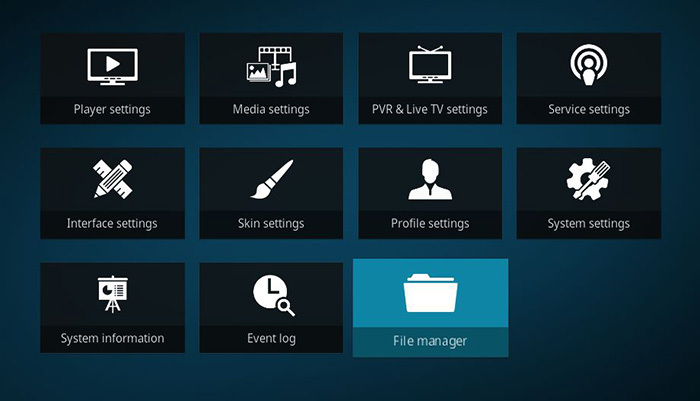 Let’s take a deeper look at the Maverick TV Kodi addon. What’s important to know about this addon is that it brings a wide range of content. Some of the available content categories are movies, TV shows, cartoons, music, YouTube clips, and much more. On top of that, Maverick TV is a well-maintained addon. What this means that you’ll encounter very few non-working links. As such, it has the power to transform the way you use Kodi. The good news is that this addon is contained within its own repository. Instead of relying on a public repository, Maverick TV has done its homework. Thanks to this setup, we are sure this addon will be active and online for a very long time. 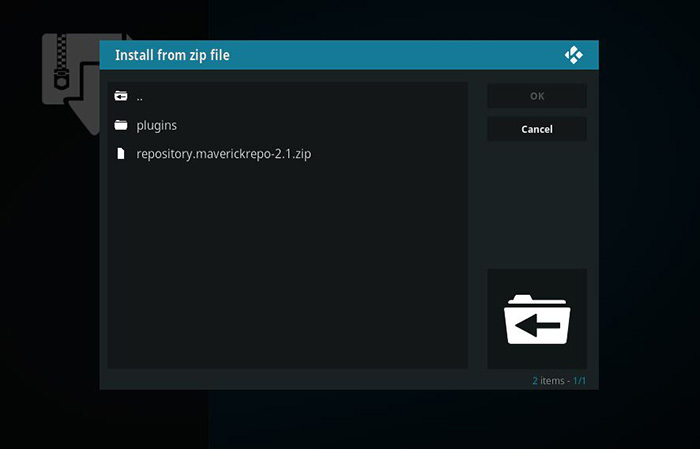 We are going to show you how to add and access the Maverick Kodi addon 2019 by installing its repository first. However, you need to be sure that your Kodi accepts third-party addons in the first place. This is why it’s important to carefully read the following section. Important Prerequisite: As a way of protecting itself against piracy, Kodi works with a set of official addons by default. However, you’ve probably heard that dozens of third-party addons can be easily installed. Don’t worry, since this can be done easily. 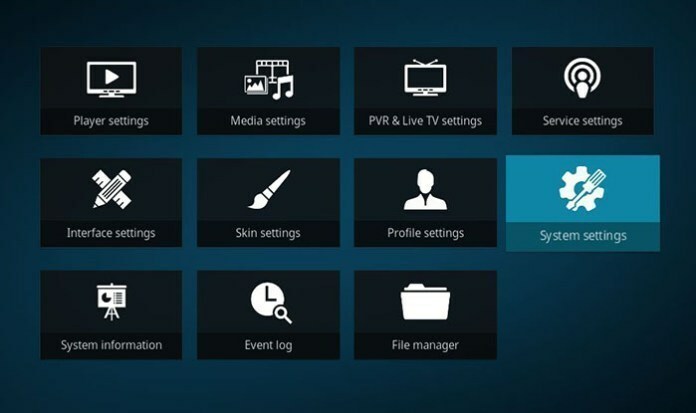 All you need to do is to visit Kodi’s settings and enable support for third-party addons. Make sure that a toggle next to ‘Unknown Sources’ is switched to ON. 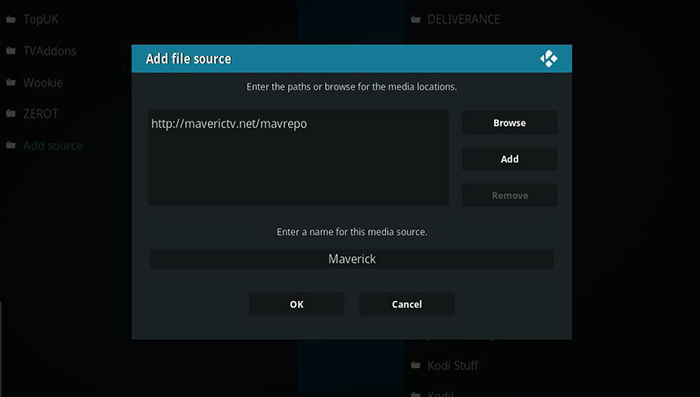 Now you can proceed with installing the Maverick TV Kodi addon. 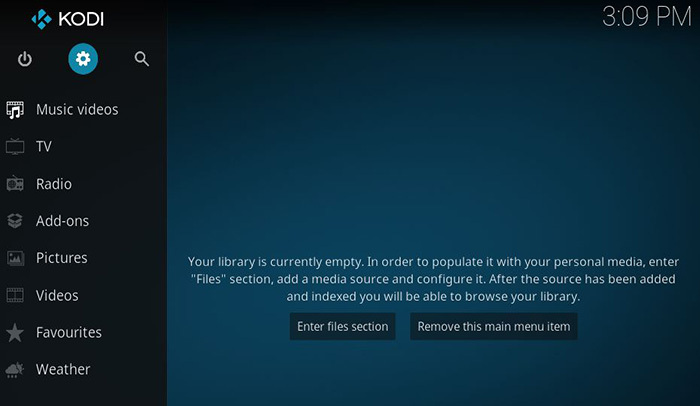 As said earlier, you first need to add a new repository to your Kodi. Then, we’ll use this repository to locate and install Maverick TV. Let’s get started. Check if you’ve entered everything correctly. Now click ‘OK’ to dismiss the pop-up. After a few seconds, a notification in the top-right corner should appear. 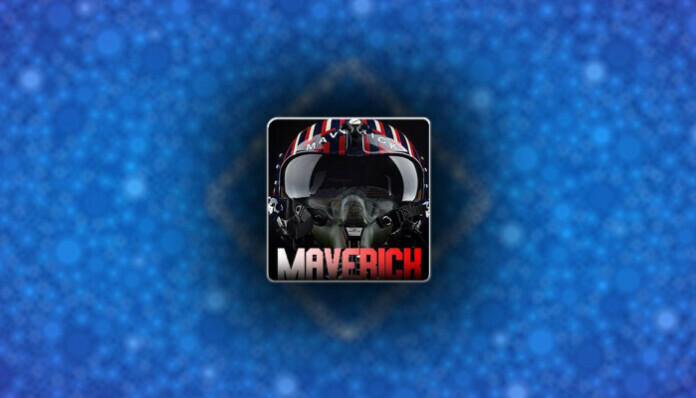 It will indicate that now you can use the MaverickTV Repo. 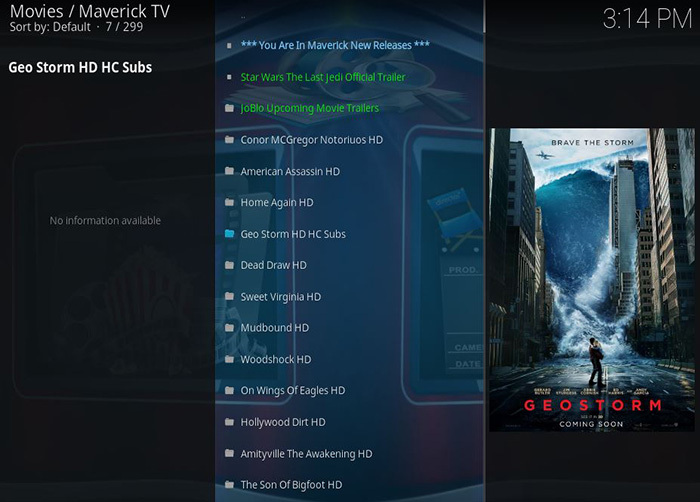 The Maverick TV Kodi addon is just around the corner. All there’s left to do is to access the newly installed repository and find the addon. Let’s finish this installation. Once again, a notification will appear. Hopefully, it will say that you’ve installed the addon successfully. 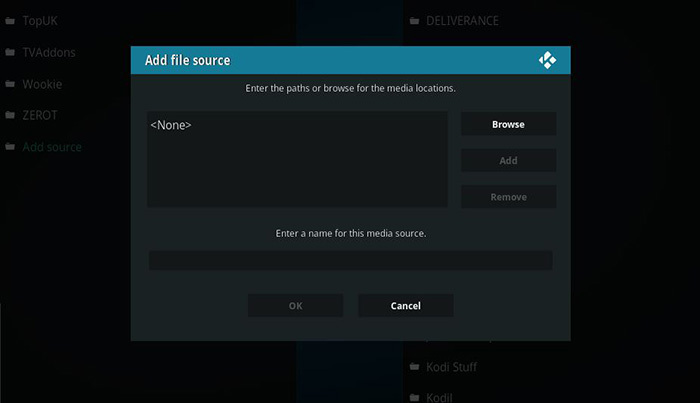 To use this addon, return to the Add-ons section of Kodi. It will be waiting in the ‘Video Add-ons’ section. Click on its icon and you’re ready to use it. 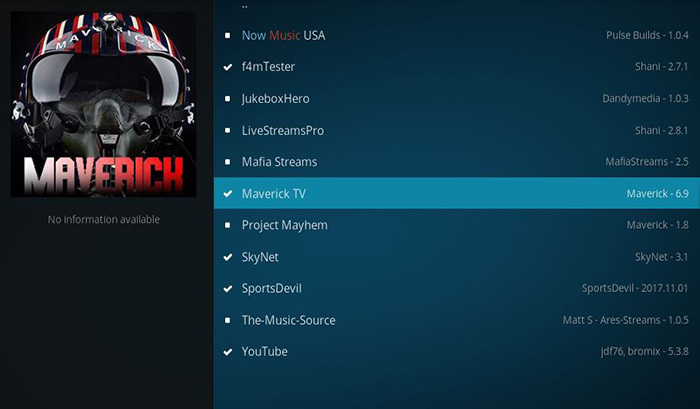 What to Expect from Maverick TV Kodi Addon? 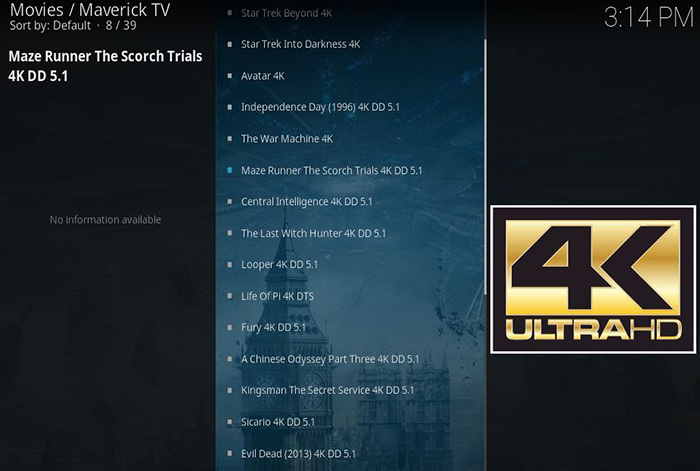 So, what can you expect when it comes to Maverick TV for Kodi. The answer is – you can expect a whole world of entertainment. To help you find your way around this addon, we have decided to explain what its main menu has to offer. Let’s take a closer look. The name says it all. If you have a fast Internet connection (at last 15Mbps), you can stream movies in ultra-high definition. There are more than 30 movies at the moment, where all of them seem to be working just fine. Simply click on an entry and the movie will start playing. Simple as that. Next, we have two categories where you can explore the rest of the movie library of this addon. The first one comes with several sub-folders, where you can pick from different genres and types of movies. The ‘Boxsets’ category brings several movies from the same series into one place. No matter if you’re into sports TV shows or live broadcasts, this is where you’ll find what you need. 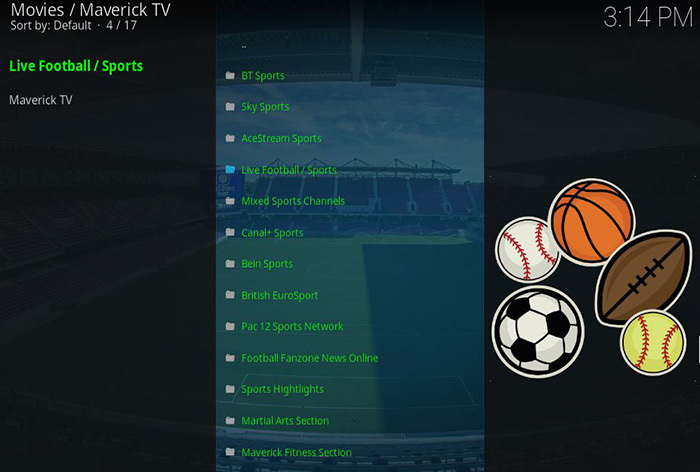 The sports section of the Maverick TV Kodi addon is packed with great content. The ‘Live Sports’ section brings a nicely organized list of games that are expected to be on air during the day. Sadly, this category seems to be non-working. We were disappointed since it brings a huge library of interesting content. For now, you need to steer away from it. As you can imagine, this content category is yet another way to dive into this addon’s library. If you’re into newly released movies, you can find them here. Many of them come in HD, for your viewing pleasure. These categories bring hundreds of live TV channels from all around the world. We have noticed that a certain portion doesn’t work. This means that you’re on your own when it comes to this. Browse and trying to find something interesting. With some luck, you’ll be able to live-stream the TV channel that you pick. A collection of 11 premium-priced TV channels that are all about movies. We have tested each one of these, and they all work just fine. If you don’t know what to watch, this is an interesting category. This is where you can find stand-up specials and comedy TV shows. 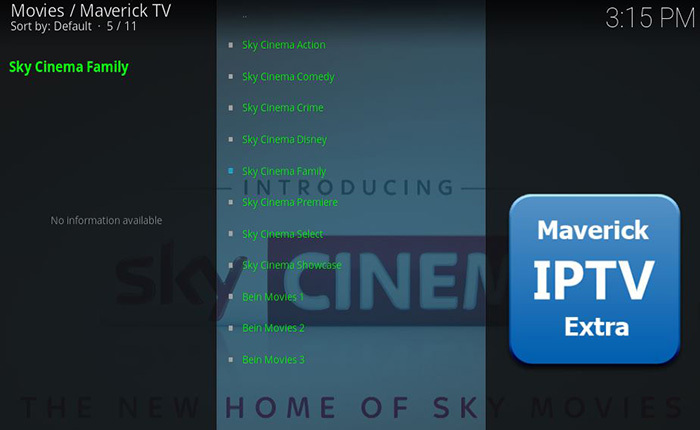 A huge list awaits, which is one of the reasons why the Maverick TV Kodi addon is so popular. Note that you’ll find a lot of comedians from the U.K. here, which is great if you like British humor. 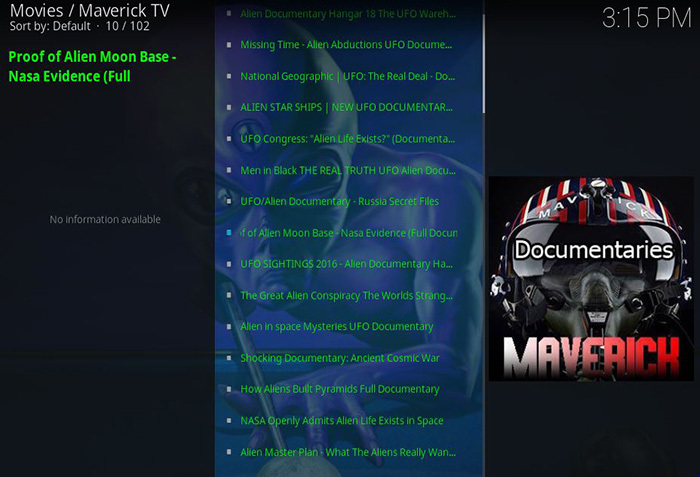 As said earlier, the Maverick TV addon provides something for every member of your family. This section is all about cartoons that are nicely sorted by different sub-folders. A lot of fully-working content awaits. This is a selection of around one hundred documentaries. You can find entries from the Ancient Aliens series, as well as air crash investigations, crime mysteries, and more. All three of these are music-oriented. The first one allows you to watch music videos and to tune in to different kinds of playlists. The Jukebox brings a huge selection of audio files, organized into playlists. Finally, the ‘Live in Concert’ brings recordings of concerts of well-known artists. These are mostly pulled from YouTube, so some of them might not work. In addition, you’ll hardly find an HD recording. We continue with the music section of the Maverick TV Kodi addon. As you can see, you can watch music TV channels from around the world. Simply find a channel and click on its name. The addon will do the rest. Finally, there’s also a very nice selection of radio stations from the U.K. More precisely, there are around 200 entries. If you’re into astronomy and NASA, this will be your go-to place. 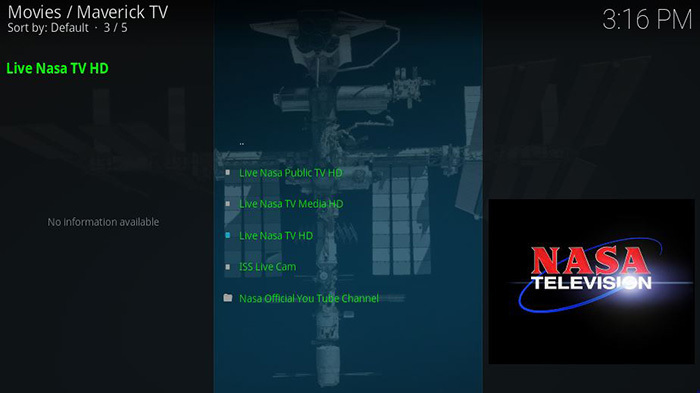 You will find several entries here that include the NASA Public TV and the ISS Live Cam which can be incredibly interesting. In case you’d like to peek into what’s happening around the world, this is where you’ll find your answer. This folder brings around 100 webcams that range from ZOOs, town squares, up to airports and farms. Finally, we come to the last entries in the main menu of this addon. This is where you can explore what YouTube has to offer. Furthermore, you can use your YouTube account to stay on top of your subscriptions. The ‘Bloopers Reel’ is where you can find comedic moments from your favorite movies and TV shows. Have you managed to install Maverick TV in 2019 and what do you think about it? We hope you’ve found this article to be useful, as well as that you received your answers regarding this addon. If that’s the case, why not share this article on social networks? Let’s spread the word!